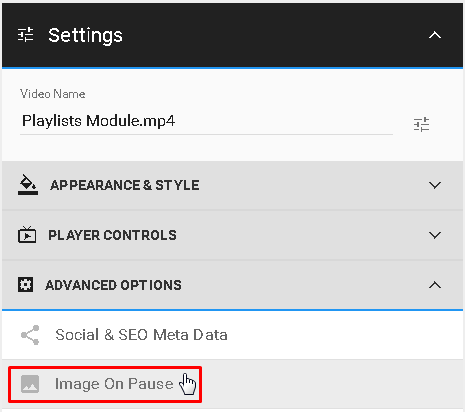 Turning ON the "Image on Pause" will set a default poster for your video each time when someone hits pause. You will find this feature under the ADVANCED OPTIONS. Here you will be able to paste your image URL, or upload it directly by clicking the upload button on the right. 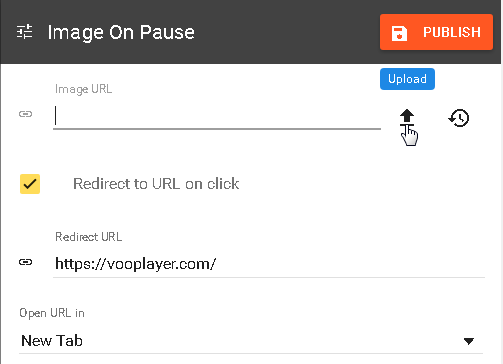 Also if you check the box "Redirect to URL on click" it will redirect your viewers each time they click on your image when the video is paused. We recommend using the image size of 1280x780.